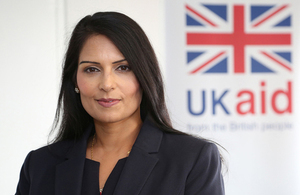 Statement from International Development Secretary Priti Patel on the situation in Aleppo. A short pause in the onslaught against Aleppo is woefully inadequate. We need to see an end to the bombing and full access for aid agencies to the city. More than a quarter of a million civilians are still trapped in Aleppo. They are in a dire situation as they face regular bombing and severe shortages. Russia needs to allow full and sustained humanitarian access. It also needs to end its participation in the bombing. Any movement of people out of the city must be voluntary and overseen by independent monitors to ensure civilian protection. What is needed is a return to a full and lasting cessation of hostilities, including safe humanitarian access, across the whole country as well as in Aleppo. The UK is at the forefront of the response to the Syria crisis, with life-saving humanitarian support reaching millions of people inside Syria and in neighbouring countries. The UK has pledged more than £2.3 billion to support those affected by the conflict, our largest ever response to a single humanitarian crisis.